The 620,000 residents living in public housing projects should be fingerprinted as a crime-prevention measure, said New York Mayor Michael Bloomberg, but many city residents protest that the proposal is an invasion of privacy. Bloomberg, 71, who has acquired a reputation for promoting controversial ideas, including imposing a ban on the sale of large soft drinks, says his latest proposal will make public housing safer. 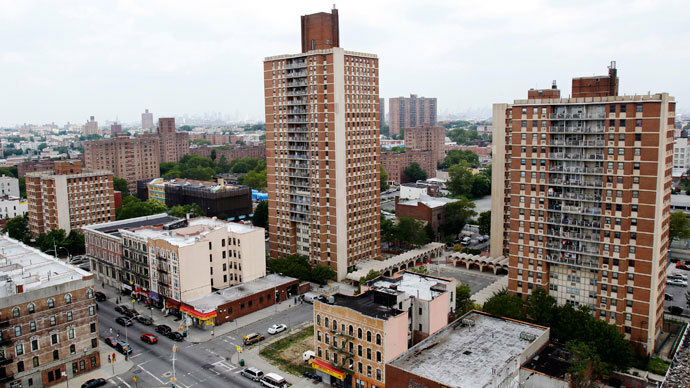 Just 5 percent of New York’s population lives in public housing, but 20 percent of the city’s reported crime is committed by residents of government-subsidized housing projects, Bloomberg said. His spokesman said Bloomberg wants to introduce biometric security technology that would include the introduction of a citywide electronic keycard system for housing residents, AP reported. Critics say Bloomberg’s latest proposal is a political step too far, especially as it comes on the heels of the highly divisive stop-and-frisk legislation, which opponents say amounts to racial profiling on the part of the police. “We live here all these years, I mean, what seems to be the problem? This is not jail,” Deborah Gatling, a resident of Chelsea Houses, told CBS. US District Judge Shira A. Scheindlin on Monday ruled that the NYPD’s stop-and-frisk searches are a violation of constitutional rights, according to documents filed in a Manhattan court. The federal court found that stop-and-frisk represented a violation of the Fourth Amendment, which forbids unreasonable searches. The court presented statistics that police conducted at least 200,000 such searches without reasonable suspicion from 2004 through 2012. Bloomberg, whose estimated fortune is $27 billion, making him the US’s 7th-wealthiest person, defended the stop-and-frisk policy, arguing it had contributed to a falling murder rate in the city. Murders have been halved since he took office nearly 12 years ago, he noted. New York City officials say they will file an appeal against Scheindlin’s decision. In a recent poll conducted by The New York Times, people were asked to rate Michael Bloomberg’s 12 years as the city’s 108th mayor: 52 percent described his performance as fair or poor, compared with 46 percent who described it as excellent or good. Meanwhile, the controversial stop-and-frisk tactic, which city officials say has also reduced gun violence, has split the electorate: 50 percent approve and 47 percent disapprove of it, the poll found. Public approval for the policing tactic that critics slam as racial profiling is lowest among black residents (28 percent), compared with whites (55 percent) and Hispanics (59 percent). Following the global financial crash of 2008, Bloomberg requested that restrictions on term limits for New York mayors be relaxed to enable him to run again to bring the city out of the crisis. 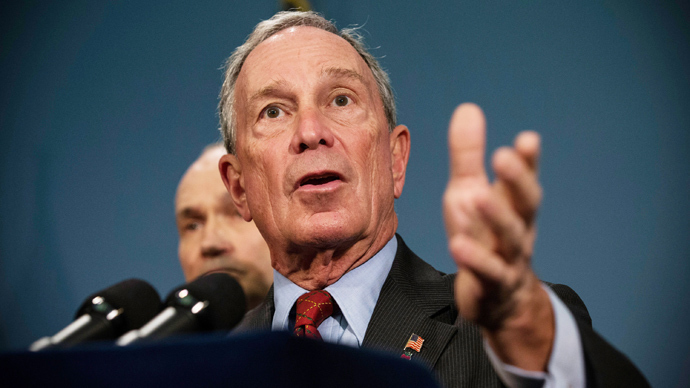 In October 2008, the City Council voted 29–22 in favor of extending the limit to three consecutive four-year terms, thus allowing Bloomberg to run again. The next New York City mayoral election is scheduled to occur on November 5, 2013.